An emollient used as an aid in the prevention of cracked and sore teats in dairy cows. 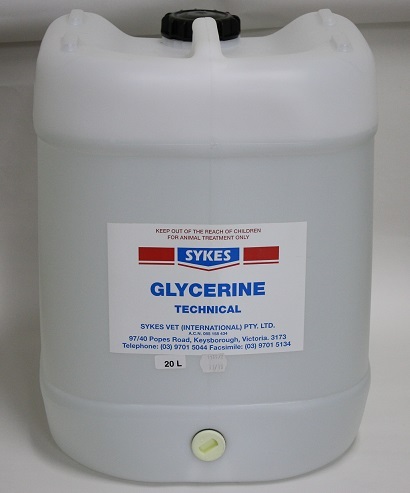 How should Glycerine Technical be applied? Sykes Glycerine Technical can be applied directly to the teat, or sprayed neat (undiluted). It can also be added to a Chlorhexidine/Iodine based Teat Dip. It is great for everyday use.